Product prices and availability are accurate as of 2019-04-16 13:27:13 EDT and are subject to change. Any price and availability information displayed on http://www.amazon.com/ at the time of purchase will apply to the purchase of this product. 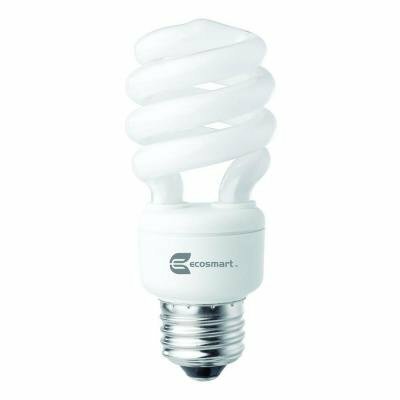 The Ecosmart 14-Watt (60W) Daylight CFL Light Bulbs (12-Pack) (E)* are an energy-efficient solution for your lighting applications. Featuring a spiral shape with a medium base, these bulbs emit 800 lumens over up to 10,000 hours, making them a great choice for demanding lighting projects. 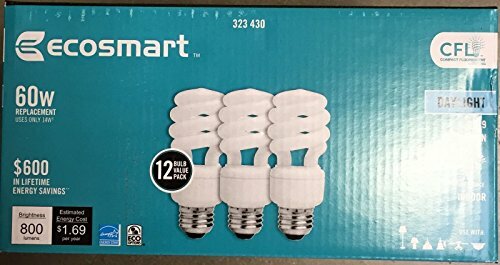 (E)* means these bulbs meet Federal minimum efficiency standards.